This spoon sweet is my family’s favorite. The toasted almonds add a wonderful flavor to the mix. We make it during the September grape harvest, and store it in jars to serve throughout the year. To increase the recipe, multiply quantities equally. Remove grapes from stem. The result should be about 4 1/2 pounds of grapes. (Ratio of grapes to sugar is 2 pounds to 1.) Rinse well and make sure all small stems are removed. 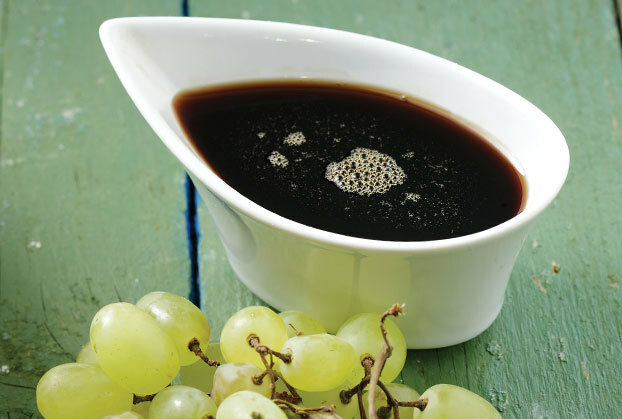 Place grapes, sugar, and water in a large pot over high heat. Bring to full boil over high heat, reduce heat to medium-high and cook, uncovered, for about one hour, or until syrup coats a spoon. Stir occasionally. After 45 minutes, stir in lemon juice, vanilla, and pelargonium leaves. Note: Try, but if you can’t find pelargonium leaves, just leave them out. Transfer to a bowl and allow to cool for 30 minutes. 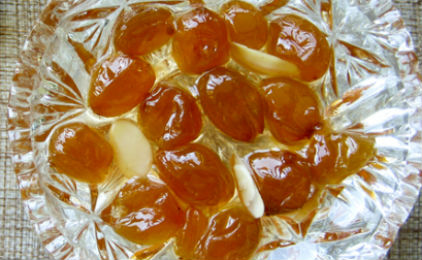 Remove leaves, and stir in almonds. 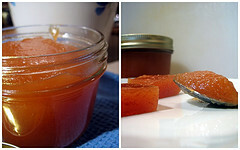 Allow to cool another 30 minutes and spoon into jars with airtight lids. 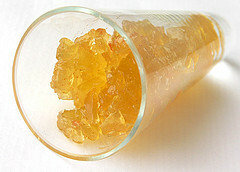 Do not close jars until the grape spoon sweet is completely cooled to room temperature. Store away from light and heat. 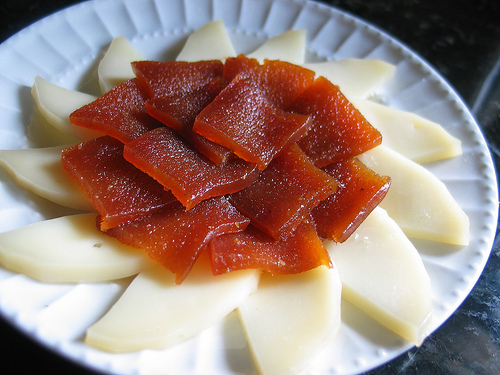 This spoon sweet is traditionally served by the spoonful on a small plate, accompanied by a glass of cold water; however, it’s also a wonderful topping for vanilla ice cream!